I love tattoos. I like the way they look, I like the stories behind them and the feeling and excitement when you get a new one. They are a beautiful work of art on skin of people trying to express themselves. 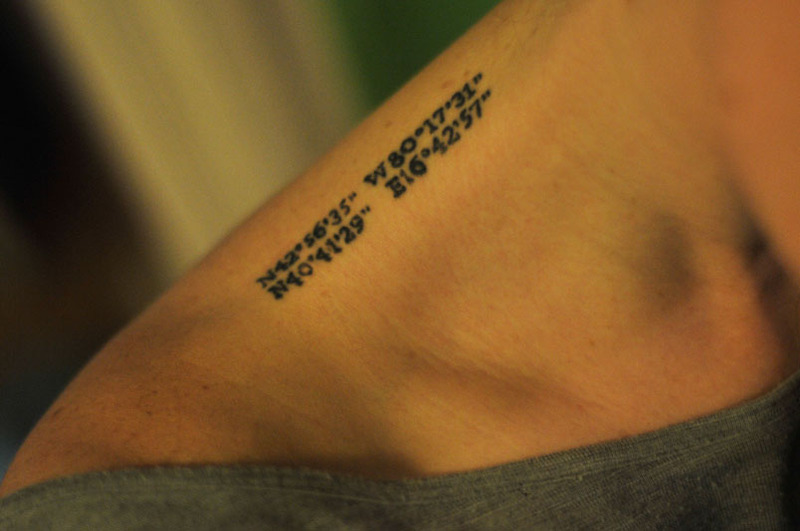 I like tattoos on discreet places, not visible to everyone. 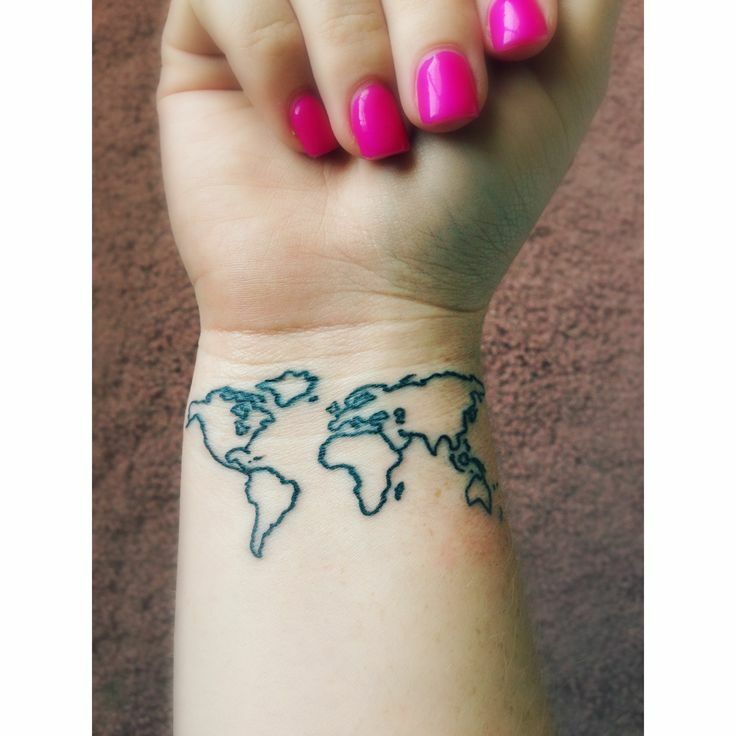 I search for a tag ‘Travel Tattoos’ on the internet a lot and looking for inspiration and ideas for a new one. 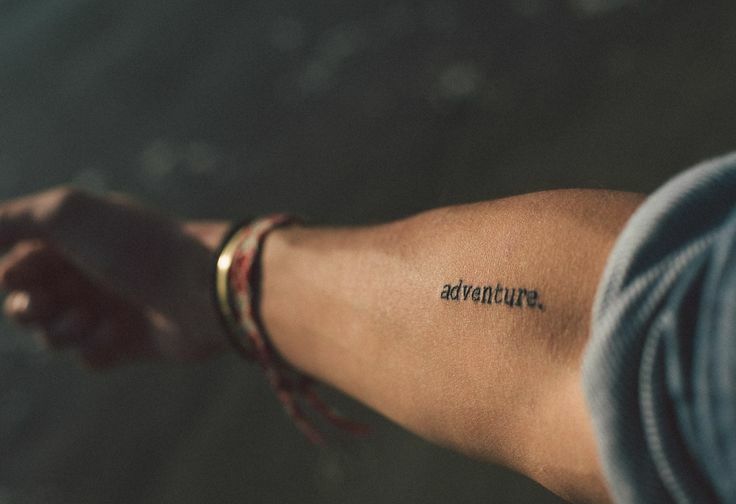 In this post I will write about the tattoos I have and post some images of tattoos from other people that I really like. 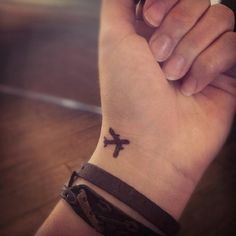 This is my first tattoo. I got it in June 2011. Me and my friend Kaja decided to get inked and we went together to Izo Tattoo parlour in the old part of Ljubljana. The cost was 150 euros and it took about 1 hour and a half to be done. I came there with my idea of what I want and they draw the stencil for me. 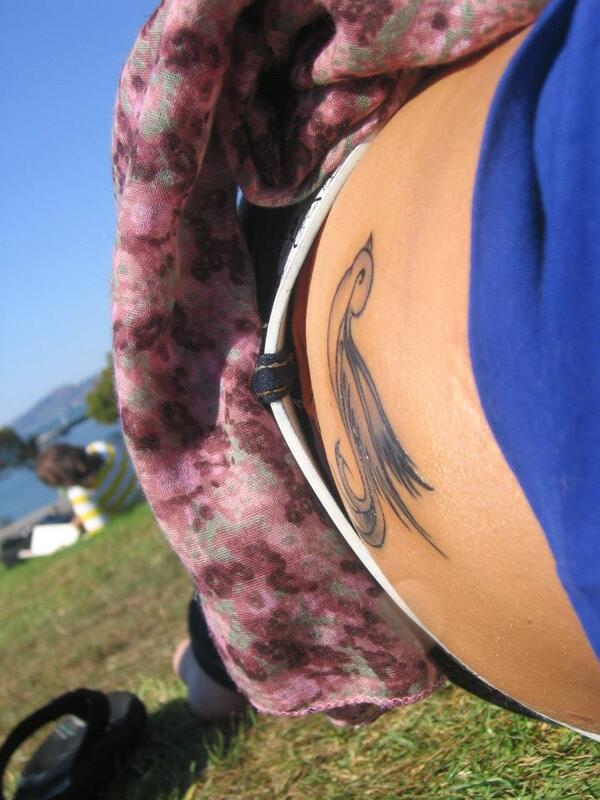 It was quite painful because it is placed on my ribs. 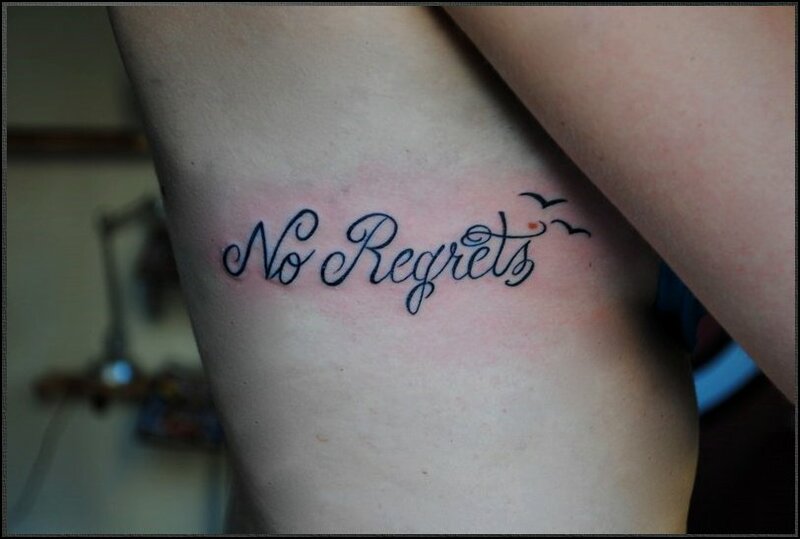 I choose this one because I have no regrets in my life. I think that everything happens to you for a reason. The hard times that you go through build character, making you a much stronger person. This one was done when I was on my 4 month trip in the United States of America in 2012. It was done in Miami beach in Salvation Tattoo Studio. I payed 150 dollars and it was done in 45 minutes. It wasn’t as painful as the first one. It is positioned on my left hip. This and the first one were made with tattoo guns. Swallow bird always had a meaning of coming home safely after being away. It is also a symbol for love and loyalty to the family. The third one is the most special to me. I got it on my trip in Thailand in March 2014. Me and my friends, Ema and Petra, decided to get a matching tattoos to remind us of the good times we had together. 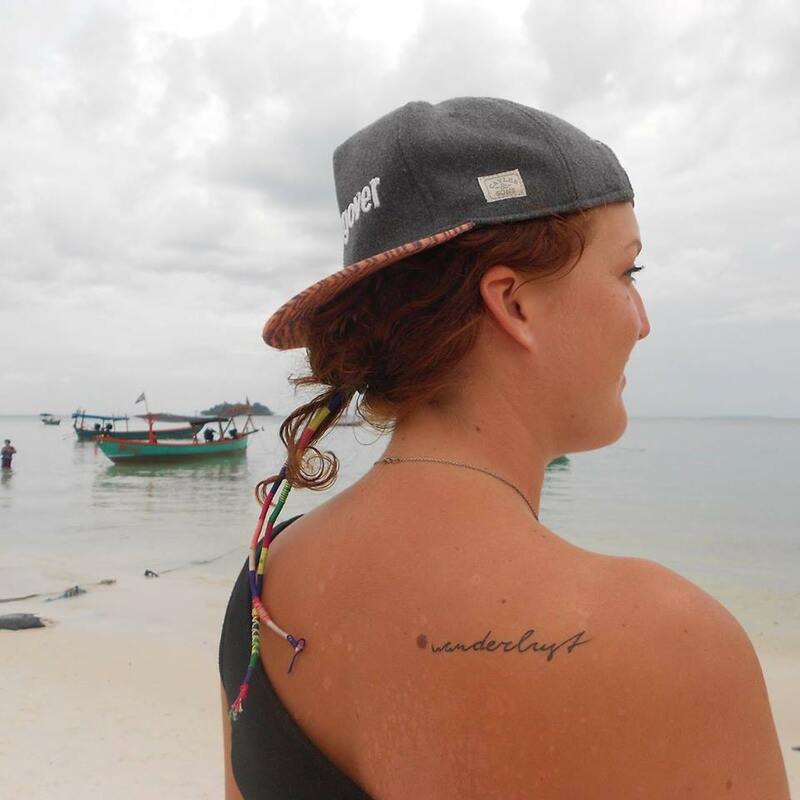 We got it done on Ao Nang Beach near Krabi town in Ao Nang Tattoo Studio and payed about 40 euros for it. It is a bamboo tattoo, done with a bamboo stick. This is a 3000 years old Asian technique in which needles are taped to a bamboo rod and hand ‘tapped’ into the skin. It was more painful that the ‘machine gun tattoo’ but much easier to take care of. It heals much quicker because the skin is punctured but not torn. The healing process takes just around four days. The meaning of it? It is ‘Free Spirit’ written in Thai. On left and right there are 2 symbols representing happiness and good luck. A free spirit puts a high value on free choice. A free spirit cares about getting to know both himself and the world around him. A free spirit has the courage to test life’s boundaries and limits, and to try things that other people think are impossible, unimportant, or impractical and has her own unique vision of life and the world. A desire to travel the world one day. These are my dreams and I hope one day they will come true. This is my last one. It was done in April 2015 in Sihanoukville in Cambodia. It was in one of the tattoo studios next to the beach and I payed 40 $ for it. Because it is so small is was finished very quickly. When I look at it it always reminds me of the good times I had in Cambodia. I wanted to stay there for 5 days but in the end I stayed for 5 months and it was the best time of my life. 1. Wanderlust – a strong desire for or impulse to wander or travel and explore the world.